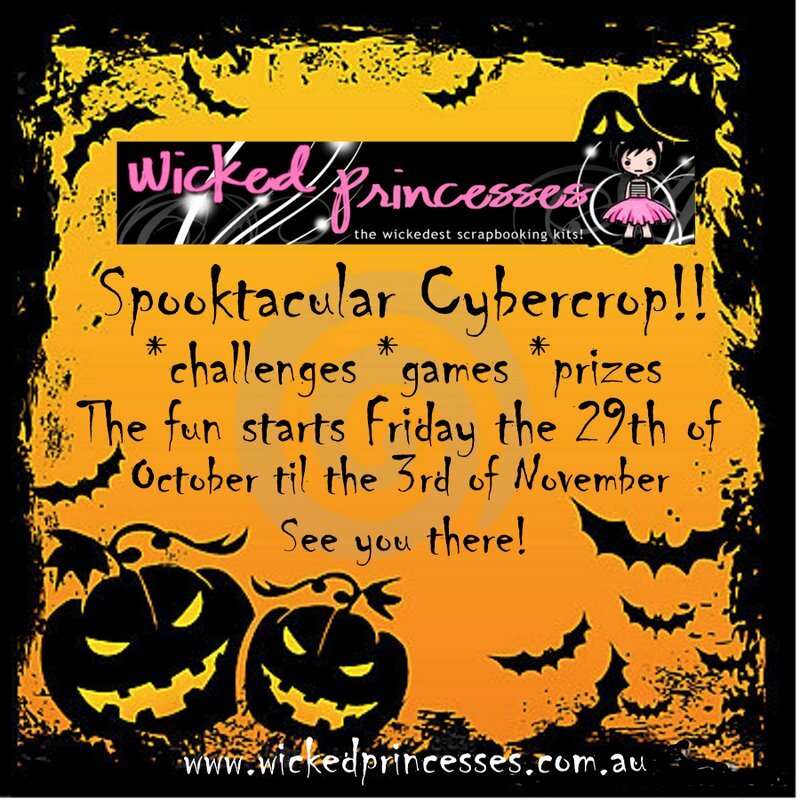 Wooooooooooo........ok that was my attempt at a spooky start to my blurb about the spooktacular cybercrop on this weekend at Wicked Princesses :D Its going to be sooooo much fun! !Dont be scared by the theme (or my scary advert LOL) there wont be any need for halloweeny type photos ;-) There will be heaps of inspiration,fun games and great prizes!Id love to see you there! IM off to scrap yipppppppeeeeeeeeeeee!! Hello stranger! Love the LO, and the new kits and your gorgeous new buttons! So so cute!! i love the page honey and i really LOVE all the new goodies for the shop too!! all your sculpty fun looks awesome!!! can't wait for the CC!!! WOWZER!! What a really awesome masculine layout!! LOVE IT!!! You have been a busy bee! It's great to see the shop has worked out really well for you. It was obviously meant to be :).